An impressive building 153,000 square feet in size, TELUS Spark features four main exhibit galleries, in addition to a Creative Kids museum, and Calgary’s first HD Digital Dome Theatre. Along with the new facility is a new philosophical approach for a science centre: exhibits at TELUS Spark are designed to ignite curiosity through play and exploration rather than demonstration and observation. Aesthetec was involved in the exhibit design and fabrication process for all four exhibit halls. During the design phase, we created experimental working prototypes, many of which would become permanent and featured exhibits in the galleries. In addition to individual exhibits, we also created a system of customized electronics to power twenty-seven exhibits across all four halls. 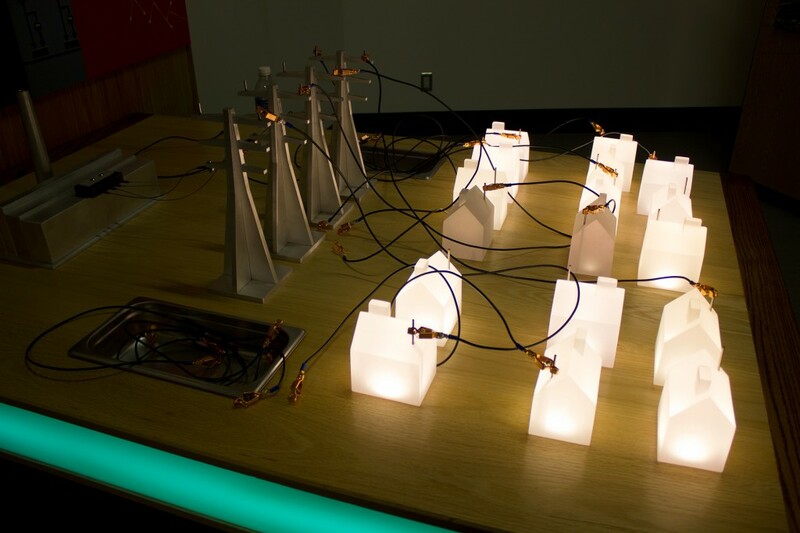 Our electronics system standardizes components that are needed to drive communication between custom sensors, displays, and computers, in turn making it easier for the science centre to monitor and maintain these exhibits in the long term. 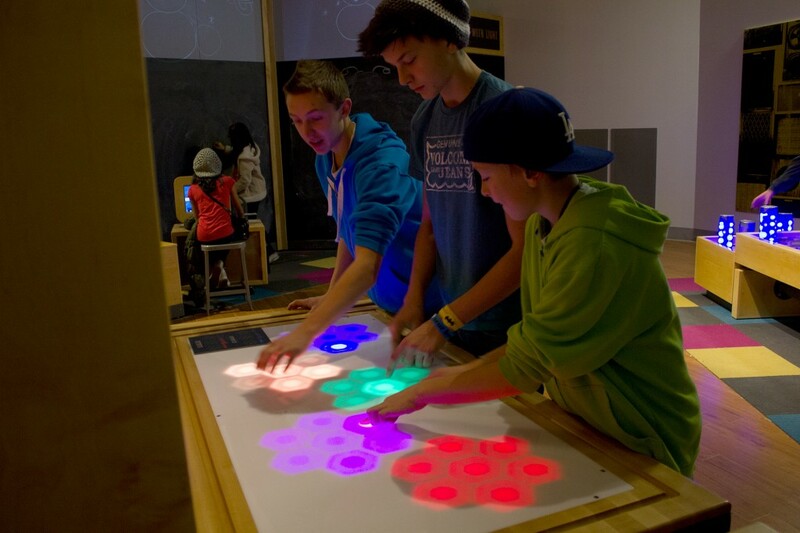 A touch-sensitive table with hexagonal light pattern that produces musical loop, letting kids and adults alike become virtual DJs. 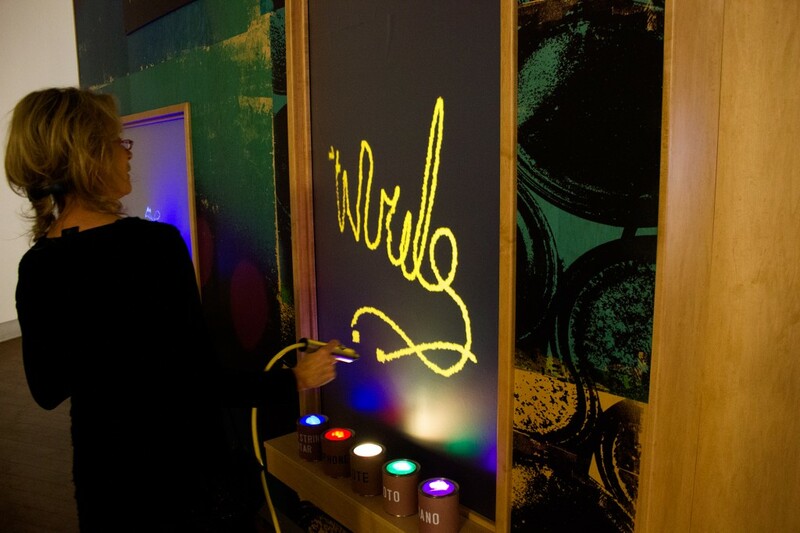 A painterly interface that lets the visitor make music while painting on a virtual canvas. Each colour represents a different instrument, which the user can switch by dipping their light pen into the special paint cans. 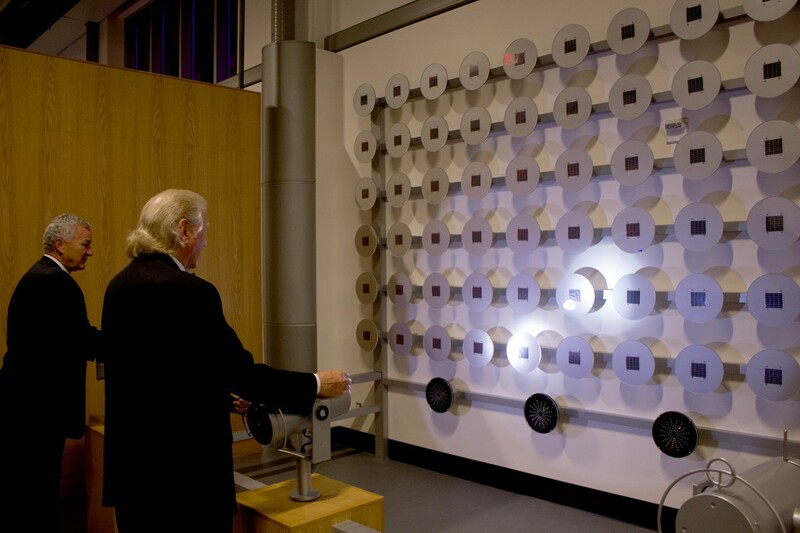 Multiple users can create an orchestra by shining lights onto a grid of solar panels. Each panel is mapped to note in a scale. 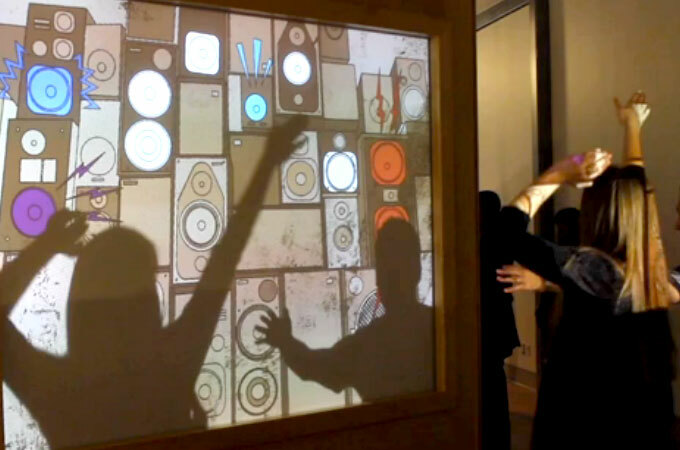 Using their shadows to trigger sounds, visitors can create a jam, rocking out together. This exhibit challenges the user to balance the electricity load in a neighborhood of seventeen houses and four power stations. Visitors connect cables between the houses and power stations trying to light all the houses without causing a brown-out. Each time the puzzle is completed, the game randomizes the solution so that the puzzle is never the same twice. Aesthetec created custom sensor circuits and high-brightness LED drivers for the inputs and outputs, and embedded the game logic directly into the control circuity. 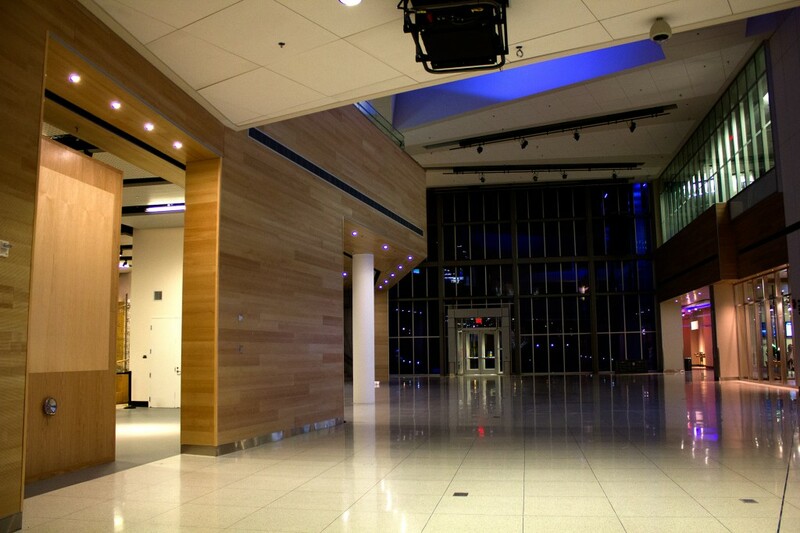 The exterior wall of Energy and Innovation hall is a simple wooden structure with conspicuous hand crank attached to it and no instructions. Some visitors will walk by without noticing the crank. Those who do notice and stop to check it out, however, find a delightful surprise after the handle is cranked a few turns. In ‘Find Your Voice’ the user is directed to record their voice saying a phrase on the screen. 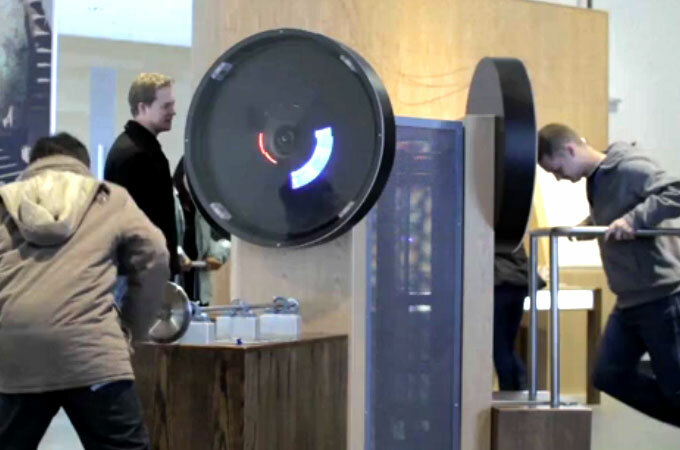 Once recorded, the system will ‘hide’ their voice into one of the speakers, and playback all the sounds of different people saying the same phrase. It is an exercise to see how hard or easy it is to pick out one’s own voice in a crowd. For this exhibit, Aesthetec provided the sound recording and playback mechanism using our custom designed mp3 player circuits. Each speaker is associated to a single board, which can play back, record, and respond to a computer command. 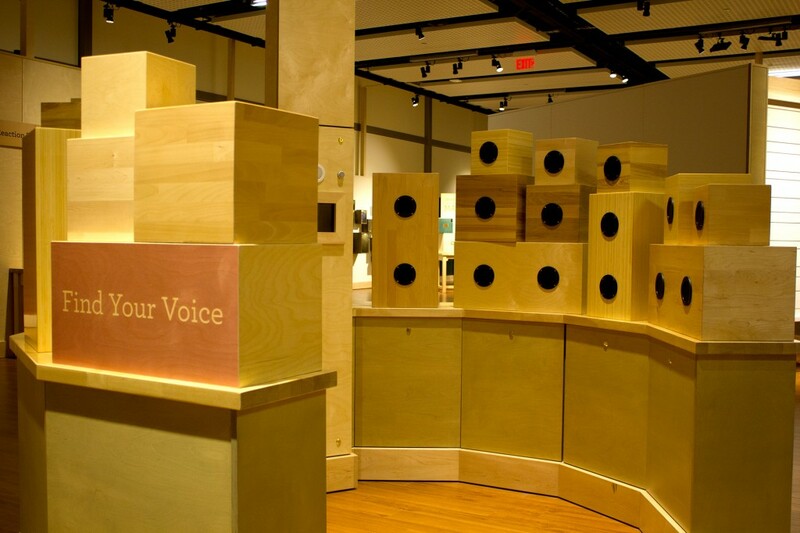 This provided a simple way for the museum to control each of the thirty speakers individually. As an experiment, Aesthetec designed and built a prototype of a magnetic generator which uses human motion to generate electricity. The generator created electricity by using a flywheel to pass strong earth magnets over coils of wire. 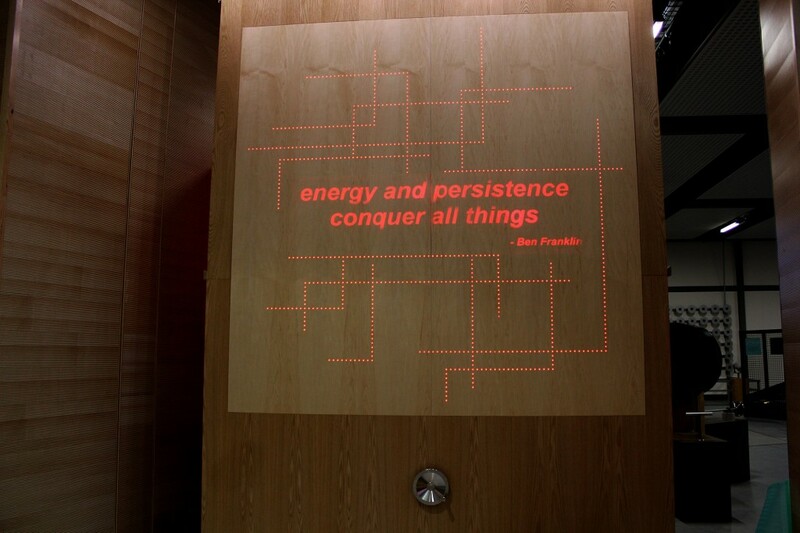 The electricity is used to power LEDs, creating a persistence-of-vision display. At TELUS Spark, three of these magnetic generators stand at the entrance of the Energy & Innovation hall, each one has a different mechanism for creating electricity: a hand crank, a pump, and a treadmill. Aesthetec worked closely with the exhibit fabricator throughout the production phase to bring these generators to life. The circuit boards are completely customized, and the persistence of vision display features red, green, and blue LEDs allowing the display to be full colour.